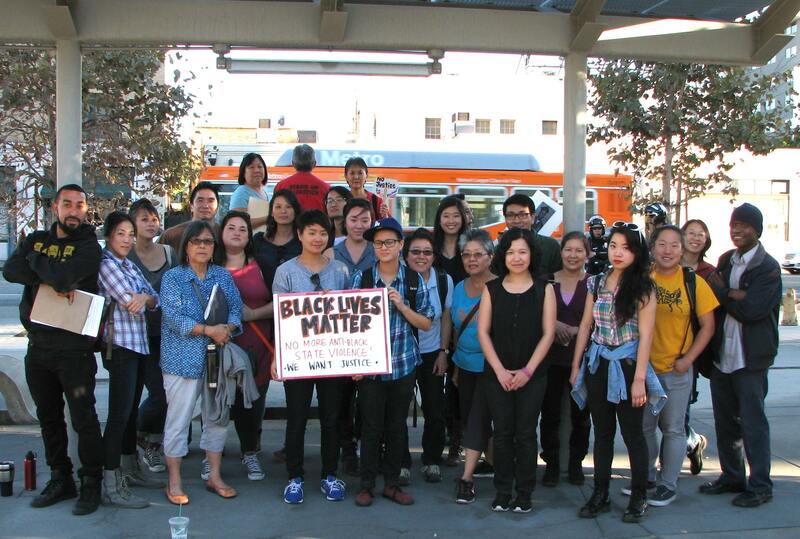 An Asian Pacific American contingent, including members of Asian Americans Advancing Justice-LA and Nikkei for Civil Rights & Redress, gathered in Little Tokyo on Wednesday and marched to the U.S. 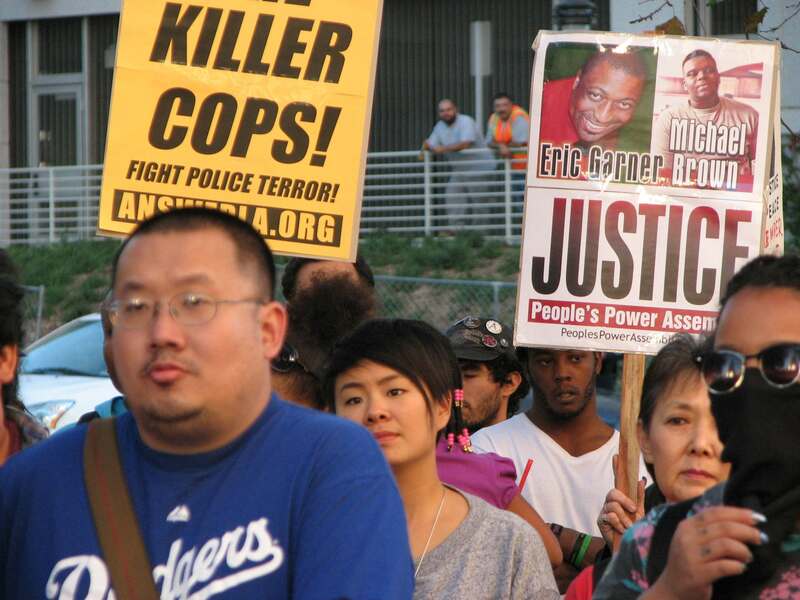 Courthouse on Spring Street in downtown Los Angeles, where protesters condemned a grand jury’s decision not to prosecute a white police officer, Darren Wilson, for the fatal shooting of an unarmed black teenager, Michael Brown, in Ferguson, Mo. 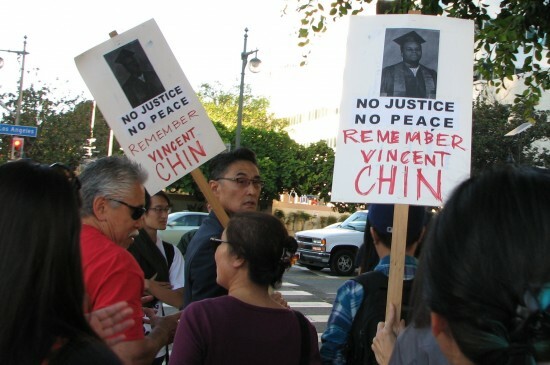 One of the signs carried by the contingent read “Remember Vincent Chin,” referring to the slaying of a young Chinese American in Detroit in 1982. The killers received no jail time, only probation and fines.